I'm so happy that you have come to party with us. Last week was a busy one around here, but I did take time on Friday, to spend the day at the beach with Mary Claire. We had a fun mom and daughter day, and those days are always cherished around here. I planted all my bedding plants and cleaned out some flower beds on Saturday (the plants were fun...the flower beds...not so much). Sunday, we went to church and then picked up my 87 year old mother and headed out for a Easter lunch. This week, I will be working on our home office. 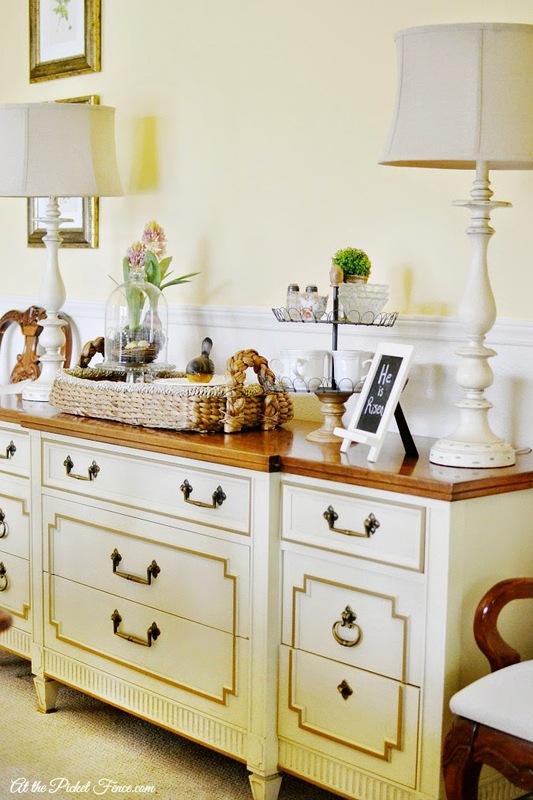 This room is screaming for a major declutter!!! Now it's time for y'all to SHOW and SHARE!!!! I shared about how my sweet hubs is going to build and install a sliding barn door in our home. 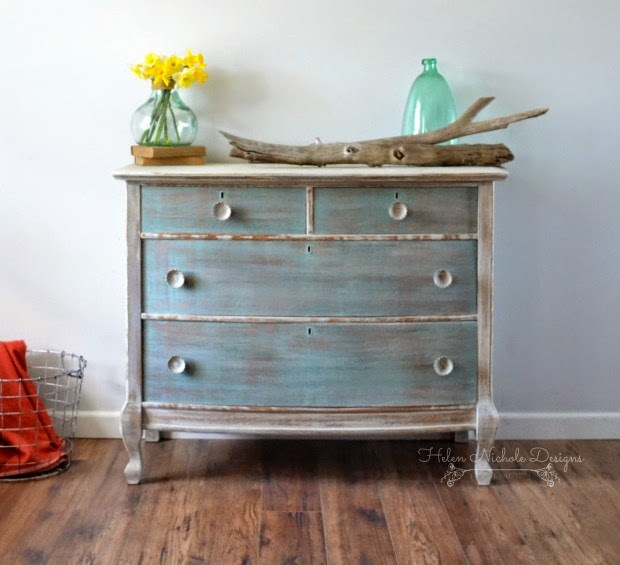 If you missed this post...just click here to find out more about it. 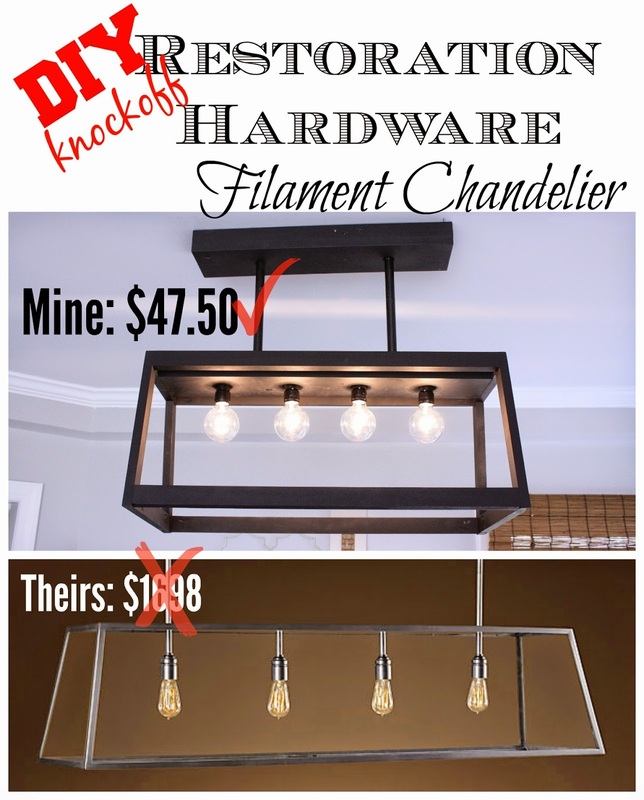 Wow, Linda, kudos to Kathryn at I Can Find Time for her filament light knockoff! 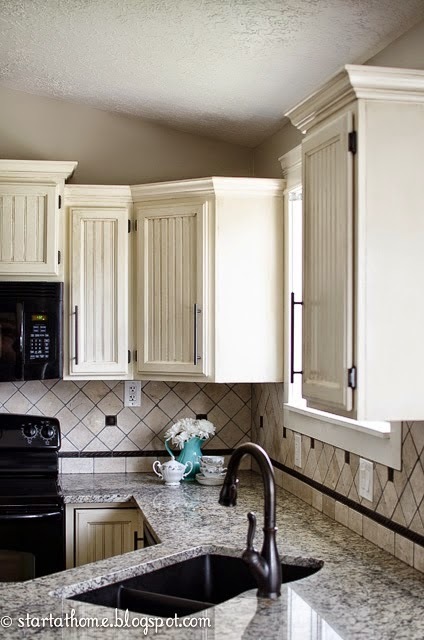 I just saw the RH model in a feature in one of my mags (either BHG or HGTV, can't remember), and she did a fine job! Thanks for the party and the inspiration links. I'm getting supercharged with recent finds and switch ups in our booth spaces too. Love spring! I'm glad you had some Mom and Daughter time on the beach! Soak in some rays for me! Thanks, as always, for the wonderful party! Sounds like you had a wonderful Easter weekend Linda. Thanks so much for hosting. Happy Easter Linda! I can't wait to see your barn door, I wish I had a spot for one, so cool! Thanks for the party, have a great week! Happy Monday and thanks for hosting another great party this week. Oh Linda I LOVE the idea of those sliding barn doors! Wish I had a place in my home for them cuZ they are just gorgeous! Glad to know you enjoyed a beautiful Easter. Fabulous features, thank you so much for sharing them and hosting another wonderful party! Wishing you a great week! 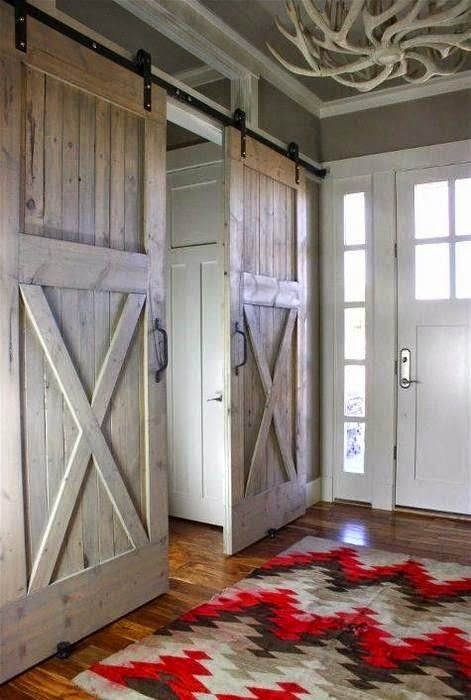 Love those sliding barn doors! thanks so much for hosting, Linda! It sounds like you were busy last week but also had time to enjoy yourself. Beautiful features. Linda! I'm really looking forward to seeing your new door! Thanks for hosting! Sounds like you had a busy but productive and enjoyable Easter weekend! Thanks so much for hosting this wonderful party! Thank you for the party Linda! 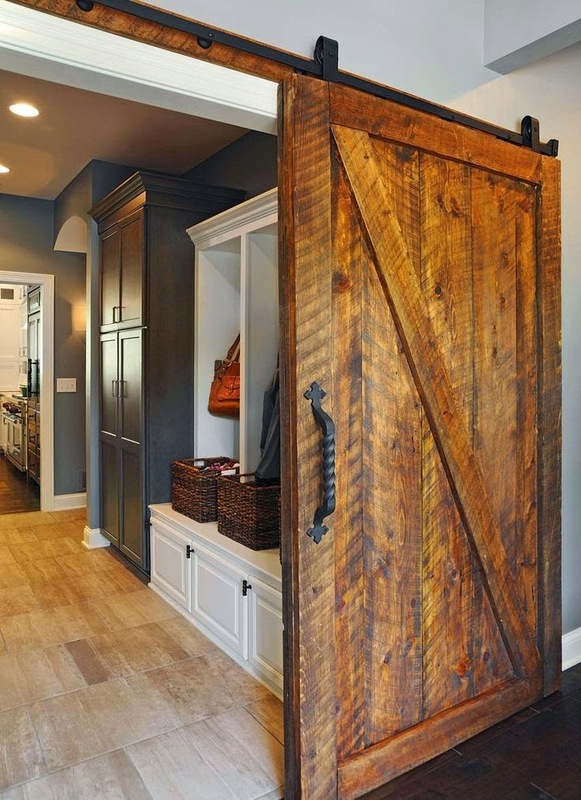 Loving the barn door. Linda, thank you featuring my dresser. All of your features were beautiful. Hi Linda, love the barn door! I have them in my craft room and they are so fun! Thanks for hosting. Thanks for hosting.. Love your features! Thank you Linda for hosting!